- Corrected a couple of textures. - Mode Always Sun + Fog Reduction + Blue Sky version 1 for Spintires: MudRunner. 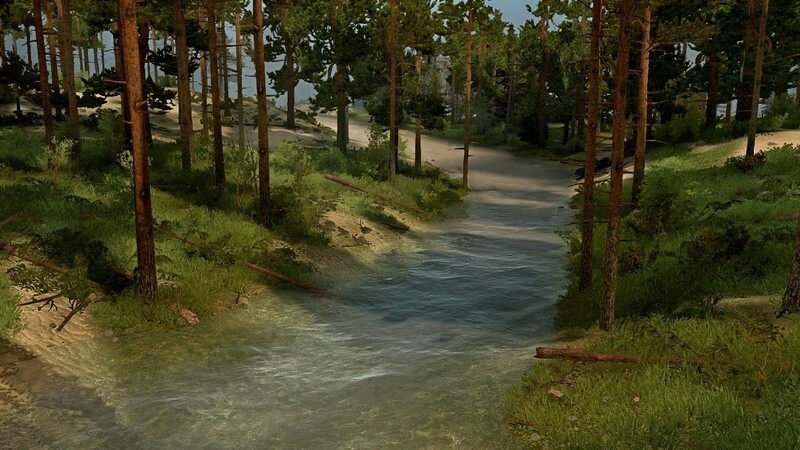 But remember that SweetFX can conflict with the editor (for those who use it), and the fashion that changes the transparency of the water and the sky - with multiplayer. It is for this reason that it did not include them in the assembly, which, in theory, should not cause the above-mentioned problems. contains only changed textures. - Added a new plant. Screenshots and video review are made using the above modifications. 3. Run the file "Clearing the cache (without resetting the game settings) .bat"
5. Original MudRunner files and several separate textural modifications of the compass, cable and driver.